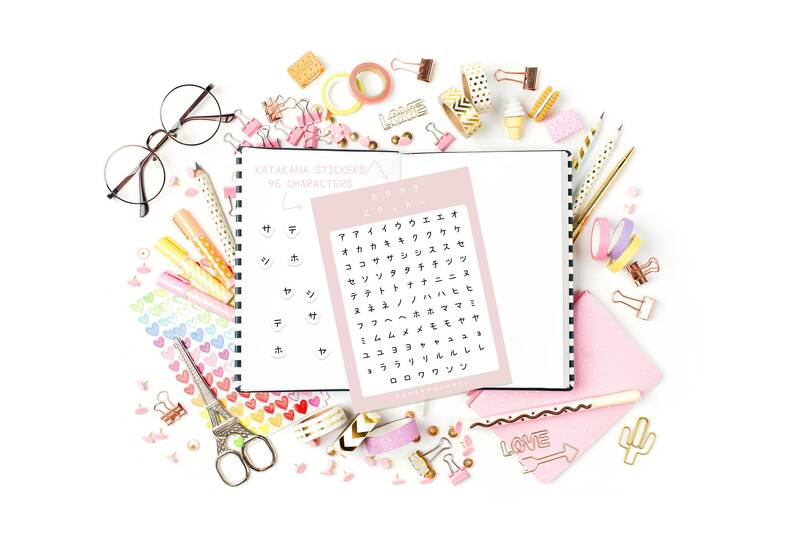 96 individual stickers for simple use in bullet journals and planners! 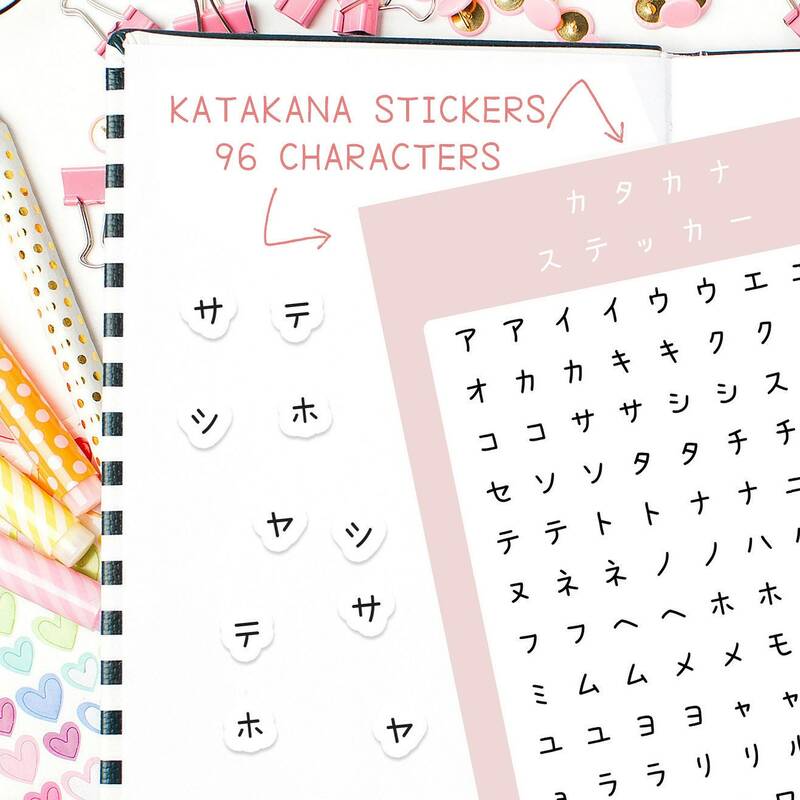 Can help with remembering katakana for Japanese study too. To change to dakuten or handakuten, simply write! A matte label surface means this is super easy with a black pen. Roughly smaller than A5 sheet including 96 individually cut stickers.